real, inspired thinking about education. In one of our courses for parents of gifted students, we spend a session on “the 8 great gripes of gifted kids” as presented by Jim Delisle and Judy Galbraith in their landmark book, When Gifted Kids Don’t Have All the Answers. These gripes, garnered straight from the unfiltered mouths of gifted kids themselves, are an excellent heuristic for parents to help children reframe many of the struggles they experience both in and out of school. During class, however, we discovered that our parent group was also using these student gripes as a launching point, and was cruising along a heartfelt parallel track that could only be called, “The Great Gripes of Gifted Parents.” It’s only fair, we thought – if gifted kids get the opportunity of a therapeutic clearing of the air, then parents of the gifted should, as well! So, we asked our parents to formally gather their thoughts on their OWN gripes and submit them to us. And because “8 great gripes” has such a nice alliterative ring to it, we condensed and consolidated the list to a total of 8. Just as the student list facilitates deeper, more meaningful discussion than a simple “list of complaints,” we hope that this list might serve as fodder for fruitful discussions and conversations around the unique challenges facing parents of the gifted today. Tell us: are your top “gripes” represented here? Add your own in the comments! Unless your child attends a full-time gifted program or school, this is probably a familiar feeling! Even in the best districts and best schools, parents of the gifted express frustration with “resistance from some teachers and schools… providing for the kids’ academic needs.” They note that “teachers in elementary school (outside of the GT teacher) don’t give gifted kids enough time/work” at their level. Sometimes the academic needs of gifted students can be tricky to pin down, and teachers of large, mixed-ability classes often have their hands full. When gifted students are limited to “very easy” work, however, parents correctly observe that it becomes “difficult to instill any kind of study ethic” in students. Initially, this might seem like a problem with a teacher, administrator, or school – but in reality, it’s a problem nationwide. Some states have laws requiring GT programs and opportunities for academic acceleration, and some do not. Myths and misconceptions persist about the abilities, characteristics, needs, and outcomes of students testing in the gifted range. Schools struggle to juggle increasing state demands, large classes, and inadequate funding. The best solutions address individual student needs, but meeting gifted needs generally requires a basic understanding of research and best practices. If that is missing, parents can sometimes work with schools to raise awareness. Consider joining or starting a parent support group, connect with advocacy organizations in your state/area, and check out some of the reading suggestions below. Betts and Neihart revolutionized our monochromatic view of giftedness with their research on the 6 gifted profiles in the 1980’s. Far from being a predictable, homogenous group, gifted students represent a diverse panoply of behaviors, personalities, and traits. While it may be an easier proposition for a teacher or other adult to “get” what Betts and Neihart classify as a Successful Type (extrinsically motivated, achievement-focused, pleaser), that Creative Type (divergent thinker, non-conformist) in their classroom, or at their child’s birthday party may come across as abrasive or eccentric. Several parents expressed frustration at being unable to control the perceptions of teachers and other adults have about their gifted child. Being able to openly communicate and commiserate with other adults who DO understand your unique challenges is key. Strong parent-based gifted advocacy groups can be crucial. They generate opportunities for student interactions and parent networking throughout the year. Check with local gifted teachers, administrators, or parent organizations about gifted parent organizations in your area. Most are NOT exclusive to families who attend a specific school district and welcome homeschoolers and families from neighboring schools and districts. Children with certain temperaments and personalities can exhibit these characteristics, but the words take on new meaning when it comes to gifted parenting. Living with Intensity is a well-known book about emotional development in these children, and the title often describes the home life of many families. Gifted-identified children often exhibit one or more overexcitabilities, or intensities. “Their minds and sometimes mouths don’t turn off even when your mind and ears are exhausted,” notes one parent. “My child is just like me,” laments another. They often struggle with global and existential worries, and can even suffer from existential depression. 4 – Social Distortion: So Many Awkward Social Situations between My Kid and Other Kids, and Me and Other Parents! The comments from parents in this gripe covered a wide range of issues related to social situations and communication. Although research has not shown gifted children to be any worse off in social adjustment than average children when in appropriate academic settings, the stereotype of the socially awkward “brainy” kid persists. More important than spouting research numbers, though, are the subjective experiences of students and parents. If gifted students do not have opportunities to interact with like-minded peers who share their passions, talents and abilities, the sense of “feeling different” or even lonely is likely to increase (Rimm, 2008). The solution? Give students the opportunity to interact with intellectual peers and give parents the opportunity to interact and empathize with parents in similar situations (see note on parent groups above). Right here on The Fissure last March we published a post called Solutions to Sticky Social Situations which also begins to propose some practical approaches for students to approach different social scenarios successfully. 5 – Asynchronous Development: My Kid is 8 Going on 30! Asynchronous development is a hallmark of giftedness. The National Association for Gifted Children describe it as “the mismatch between cognitive, emotional, and physical development of gifted individuals” and, in their official definition, highlight that “because asynchrony is so prominent in gifted children, some professionals believe asynchronous development rather than potential or ability, is the defining characteristic of giftedness” (See full NAGC definition). Our primary advice for parents is to nurture those areas of high ability, potential, or passion and remember to scaffold in areas that are not as accelerated. An example might be a 2nd grader excelling at 8th grade Math when given the opportunity to immerse with intellectual peers, but who needs a social buffer to remediate emotional outbursts when the going gets too tough. Remember it’s not always the case that social/emotional is lagging behind intellectual or academic abilities. In fact, research on overexcitabilities clearly shows us how a child can show advanced empathy and emotional processing without the vocabulary (verbal intelligence) to communicate it appropriately. 6 – What’s the Remedy? My Son/Daughter Has Caught Perfectionism! The spread of Carol Dweck’s ideas on growth vs. fixed mindset over recent years has brought a renewed sense of the importance of focusing on the process of learning, rather than on products. When you see learning on a continuum, as an evolution of skills and knowledge moving toward more and more depth and complexity, there is no “done.” There is no final product to be judged as perfect or imperfect. That’s a growth mindset and shifting to THAT framework, in our opinion, is the best remedy for perfectionism over time. 7 – Struggles Squared: Does Twice-Exceptional Mean Twice the Challenge? Though it may come as a surprise, children can be identified as gifted and can also have one or more disabilities. Sometimes a child’s abilities can mask a disability, making it difficult to diagnose. Sometimes an undiagnosed disability can impact testing, and can delay identification of giftedness. Gifted children with disabilities have two (or more) areas of difference and needs – which is why they’re called “twice-exceptional,” or 2e, for short. In the best scenario for 2e students, both their gifted abilities and their disabilities are identified and supported. Too much focus on a child’s areas of weakness can have a negative impact on self-esteem: for this reason, experts recommend focusing first on a child’s areas of strength (appropriate challenge), then supporting areas of weakness. Unfortunately, these students can be tricky to diagnose and help! Even once needs are identified, helping 2e students can feel overwhelming for both parents and educators. Parent education, as well as support from other 2e parents, can help enormously. To learn more, check out the articles available through the nonprofit SENG (Supporting the Needs of the Gifted), the 2e Newsletter, and some of the sources below. Gifted children often learn more rapidly than their age-peers – which can make the school day frustrating for both students and parents. Educators: make sure to communicate with parents about the ways your school accommodates rapid learners! Sometimes parents may be unaware of curriculum modifications providing depth and higher-level thinking opportunities for gifted learners. Some gifted students may benefit from a form of acceleration, and some can benefit from the pursuit of passion projects during extra school time. Parents: while you are engaged in positive advocacy for your child at school, in the meantime, to help maintain or recover motivation, you can provide enrichment opportunities outside of school. Enrichment can take the form of after-school or weekend classes and events, online courses (formal or informal), school clubs, summer camps, mentorships in areas of interest, museums and travel, or just visits to the library… the possibilities are almost endless. Current research supports increased physical activity during the school day, so the tide may be turning in favor of more recess and opportunities for movement. Unfortunately, as you can see, there aren’t many quick fixes to gifted parenting challenges. Fortunately, however, there are many other parents (and educators!) who care deeply about these children. If you have difficulty connecting locally, it is easier than ever to find resources online – as you’ve done by reading this post! If you have found it helpful, we invite you to follow our blog, to find us on Facebook, and to join a growing community of parents and educators who want to make a difference in education. Remember – you are not alone. Raising a gifted or twice-exceptional child may be one of the greatest challenges you’ve experienced, but it will also be one of the most rewarding. Remember to celebrate and to enjoy the journey. Delisle, J. and Galbraith, J. (2002). When gifted kids don’t have all the answers: how to meet their social and emotional needs. Minneapolis, MN: Free Spirit Publishing. Daniels, S. and Piechowski, M. M., Eds. (2009). Living with intensity. Tucson, AZ: Great Potential Press. Rimm, S. (2008). Parenting gifted children. In Karnes, F. A. and Stephens, K. R., Eds., Achieving excellence: educating the gifted and talented. Upper Saddle River, NJ: Pearson. Webb, J. T., Gore, J. L., Amend, E. R., and DeVries, A. R. (2007). A parent’s guide to gifted children. Tucson, AZ: Great Potential Press. Webb, J. T. (2013). 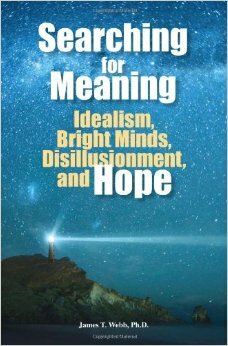 Searching for meaning: idealism, bright minds, disillusionment and hope. Tucson, AZ: Great Potential Press. Whitney, C.S. and Hirsch, G. (2007). A love for learning: motivation and the gifted child. Scottsdale, AZ: Great Potential Press. Assouline, S. G., Colangelo, N., VanTassel-Baska, J., and Lupkowski-Shoplik, A. (2015). A nation empowered: evidence trumps the excuses holding back America’s brightest students. Iowa City: Belin-Blank Center, University of Iowa. Castellano, J. A. and Frasier, A. D., Eds. (2011). Special populations in gifted education: understanding our most able students from diverse backgrounds. Waco, TX: Prufrock Press. Delisle, J. R. (2014). Dumbing down America: the war on our nation’s brightest young minds (and what we can do to fight back). Waco, TX: Prufrock Press. Webb, J. T., Amend, E. R., Webb, N. E., Goerss, J., Beljan, P., & Olenchak, F. R. (2005). Misdiagnosis and dual diagnoses of gifted children and adults. Scottsdale, AZ: Great Potential Press. All men have a denial gene when it comes to aging and their ability to play sports. It’s a complex chromosome that activates somewhere in a man’s late 20s and then takes full control of the prefrontal medial cortex by his late 30s. You can observe this phenomenon every weekend, as men with knee braces, back supports, and talcum-powdered loins take to the field or court to “put the smack down” (a stagnated phrase left over from a time when the man’s physical prowess allowed him the mobility of said smack). I have this gene. That’s why, this summer, I signed up for mixed-aged martial arts at the Lone Eagle Fighting Arts dojo. Here I am, with my entry-level white belt, surrounded by a group of kids who are all two feet shorter and at least two belt degrees higher than me. Fortunately, there were other adults who looked just as awkward as me, and we all lumbered through the steps together. This is mixed age. This is community. This is what your gifted child needs–a group of like-minded individuals brought together based on interest and ability. It wasn’t until the fourth or fifth lesson that I lost sight of the age gap. Perhaps my denial gene kicked in, but there I am kicking a practice dummy, giving both my daughters high fives, and taking advice from a 12-year-old girl with a green hair band that matches her karate belt. This is mixed age. This is community. This is what your gifted child needs—a group of like-minded individuals brought together based on interest and ability. In 1993, Miraca Gross published her study where she looked at the social isolation of gifted children, concluding that when gifted children were accelerated to be with intellectual peers, the isolation disappears and the students are able to form warm and supportive relationships with older classmates. As adults, we have all experienced this phenomenon. For example, colleges do not make your age a prerequisite for attending class. I know this first-hand because I’m in the same program as Noel Jett, the eighteen-year-old doctoral candidate at the University of North Texas (DeLeon, 2015). Why then, to quote Sir Ken Robinson, is there this assumption that the most important thing kids have in common is how old they are…their ‘date of manufacture?’” (2010). And Sir Ken wasn’t simply being tongue-and-check; the very same study from Gross (1993) has some chilling evidence: “In almost every case, the parents of [intellectually gifted] children retained in the regular classroom with age peers, report that their student’s drive to achieve, the delight in intellectual exploration, and the joyful seeking after new knowledge, which characterized their children in the early years, seriously diminished or disappeared completely” (pg 8). Whether it’s at the dojo or school, you need to find ways to get your intellectually gifted child with like-minded peers. In the school context, this takes the form of subject acceleration (where the subject matter is streamlined) and grade acceleration (where Timmy completely skips 3rd grade). Perhaps the same denial gene that tells me to high kick with no regard for tomorrow’s aching muscle is also responsible for perpetuating an inadequate system in the face of research and reason. Quick side note: I would love to know the experience and suggested resources of my readers who have attempted (successfully or not) to advocate for acceleration. Your stories help me to build a trove of anecdotes when I work with schools. The take away is that there are ways to find like-minded peers inside and outside of the classroom. I joined a mixed-aged martial arts class because of my over-active denial gene; however, I have become invested in the process. When I’m there, I’m surrounded by other students who are training with equal gusto, regardless of their age. Imagine some bizzaro world where every 40-year-old in the neighborhood is required by law to show up to karate at 7pm. I’m not saying that I’d be the best, but I guarantee I would be one of the few who are eager to learn the sport. This is your kid in class. She’s looking around and wondering why the others don’t want to do more math problems or read for fun. It’s up to you to seek out and advocate for ways where your child can be surrounded by like-minded peers and community. Gross, M.U.M (1993). Exceptionally gifted children. (Print) London: Routledge. Gross, M.U.M. (2000). Exceptionally and profoundly gifted students: An Underserved population. Understanding our Gifted. Winter 2000. Justin is a teacher, gifted specialist, curriculum writer, and fledging practitioner of karate. He is best known for his creation of mixed-age programs and professional development in the field of gifted education. You can find learn more about him here. We’re pleased to join this month’s Gifted Homeschoolers Blog Hop with this post! Click image below for a complete list of this month’s collection. The recent death of Prince has prompted us here at The Fissure to think about giftedness in celebrities, particularly in the arts. In this era of selfies and news scandals, we sometimes equate celebrity with a shallow narcissism, and we can forget that many highly successful artists and performers reach the pinnacle of their craft as a result of extraordinary ability and resilience. As more stories and anecdotes come out about Prince as a young passion-driven musician, we can’t help but draw a keen comparison between Prince and another gifted artist: Jimi Hendrix. Like Prince, Hendrix was able to redraw the cultural lines of racial, ethnic, and gender expectations. Both developed their gifts against the odds, in an often hostile world, and produced a legacy of beloved music in the process. In this post, we present Jimi Hendrix as a case study of our need to identify and develop the talents of young, gifted students from diverse backgrounds. Using Dabrowski’s overexcitabilities as a framework, and drawing on the research of Reva C. Friedman concerning giftedness in low-income families, educators can learn important lessons from his journey. In the summer of 1966, a virtually unknown and self-taught musician named Jimi Hendrix walked into a New York club to audition for a show. In a typical and all-too-common scenario, his guitar had been stolen the previous night, so when he got on stage another musician handed him a right-handed guitar. For most musicians in Jimi’s situation this would have been the end of it, and he would have needed to forfeit his audition—Jimi was left-handed. Yet, without a second’s hesitation, Jimi took the guitar that had been handed to him, flipped it over, and, to the astonishment of all present began jamming on it upside down as effortlessly and seamlessly as if he were playing his own lefty guitar. This display of uncanny, virtuosic talent was typical of Jimi Hendrix’s meteoric rise to fame, and within a year of this event he was enjoying the success of nearly worldwide renown. In the end, however, the rags-to-riches story of Jimi Hendrix is the tragic tale of a gifted human being whose unique needs were never met. Just like a meteor, his life came crashing to a fiery end, leaving us to wonder what spectacular displays his creative mind might have given us. The life story of this gifted musician and performer holds many insights and lessons for educators and researchers interested in the identification and development of gifted children—in particular those under-identified students from a low SES background, like Jimi. Through his lens we can examine gifted identification and mentoring, the importance of developing an internal locus of control, and the consequences when gifted individuals are unable to achieve the positive disintegration that Dabrowski described as essential to healthy growth and human development. The life story of this gifted musician and performer holds many insights and lessons for educators and researchers interested in the identification and development of gifted children—in particular those under identified students that come from a low SES background, like Jimi. Using traditional achievement-based methods of identification, it is doubtful that Jimi would have been identified as “gifted” in most programs. Growing up in Seattle in the 1950’s, he displayed the classic symptoms of underachievement: there was a gross inconsistency between his perceived potential and his academic performance. Adults in his life considered him bright, polite, and even insightful, yet in elementary school his grades were never better than mediocre. He did show enough enthusiasm for a very high attendance record during elementary school, and he displayed talent and interest in art. He had a notebook that he filled with drawings of “flying saucers and drag racers” (Cross, 2005, p. 46) and he liked drawing cars so much that at one point he mailed several car designs to Ford Motor Company. As Jimi progressed through middle and high school, however, both his grades and attendance gradually declined, and at the ultimate low point, during his senior year, he flunked out of Garfield High School. From a purely academic, achievement-based viewpoint, the case for Jimi’s giftedness seems dismal. There are no records of any conducted IQ tests, yet several aspects of his childhood show early suggestions that he was indeed the very gifted diamond in the rough who would later stun the world with his creative talents. The fact that Jimi made it to his senior year is, in fact, a great testament to his resiliency, and a trait recognized in gifted students from culturally diverse backgrounds (Werner as cited by Davis & Rimm, 2004). Growing up in a severely broken home, his exposure to abuse, poverty, and alcoholism, the death of his mother, and his nearly daily battle with hunger would have led most in Jimi’s situation down a path of violence or escape. It’s easy to believe there were many such invitations extended to Jimi—to sell drugs, to join gangs, to use drugs and alcohol—yet time and again, Jimi carried on as if enveloped by a protection from such threats. This bombardment of struggles and challenges would provide the potential for positive disintegration under Dabrowski’s theory, yet amid it all, it wasn’t innocence or naivete so much as a hypersensitive sense of destiny which seems to have helped Jimi sidestep dangerous fates at an early age. This hypersensitivity is related to a very high imaginational overexcitability, and it is exhibited in many aspects of Jimi’s childhood, particularly as it relates to music. If anyone—a teacher, a relative, a well-meaning adult—could have recognized and acknowledged the power of Jimi’s focused obsession on becoming a musician, that early energy could have been effectively channeled into helping him become a well-rounded and successful individual in addition to a musician. Many stories of Jimi’s special sensitivity come through extended community members: though Jimi and his brother were essentially left to fend for themselves, even to the point of stealing food to survive, they had many unofficial foster families throughout their Seattle neighborhood. One story involves Jimi’s sudden interest in music at about age 11. Having never so much as touched a real guitar, he procured a broom and transformed it into his imaginary instrument. Nearly every day after school he would turn on the radio and strum along with his broom as if he were playing. One man in the neighborhood observed that he would “play that broom so hard, he would lose all the straw” (Cross, 2004, p. 52). Later, Jimi was able to upgrade his broom to a beaten-up acoustic guitar with one string. To most, this would have been a useless instrument, but to the now-obsessed Jimi it became more of a science project: “He experimented with every fret, rattle, buzz and sound-making property the guitar had” (Cross, 2004, p. 52). He was now displaying incredible aptitude and creativity as an engineer, if you will, or even a scientist in the sense that he was solving authentic problems. This singular obsession, driven by his intense imagination, totally overtook Jimi. When he saw the movie “Johnny Guitar,” in which one of the actors walks around with his guitar hung on his back, he began to carry his one-string guitar around like that, even at school. He would wander the neighborhood and whenever he heard music coming from a garage or home, he would wander in and ask if he could play along. This same one-pointed focus would drive him throughout his career. As an older musician, he would bring his guitar to clubs and shows and pester musicians to teach him tricks, or beg them to let him plug into their amplifiers during breaks. Though generally an extremely shy and understated person, when it came to anything related to advancing his music career, Jimi was a fearless risk-taker. If anyone—a teacher, a relative, a well-meaning adult—could have recognized and acknowledged the power of Jimi’s focused obsession on becoming a musician, that early energy could have been effectively channeled into helping him become a well-rounded and successful individual in addition to a musician. Yet as it was, no one, not even other musicians, would begin to recognize Jimi’s special gift until years later. Though in nearly all other areas of his life he lacked confidence and self-esteem, for this one passion, his music, he seemed to possess the internal locus of control so typical of many gifted individuals. This allowed him to carry on despite the criticism and harsh reactions of those around him. In all aspects of the concept, he was a “self-made” talent. It is not a surprise, however, that Jimi’s teachers were not armed with the knowledge to properly identify culturally diverse gifted students in the forties and fifties – it is a struggle educating teachers even today. If teachers weren’t even properly equipped to assist Jimi’s development, then how could we expect his parents or other relatives—just struggling to stay alive—to understand the subtleties and special developmental needs of gifted children? Reva C. Friedman (1994) points out several traits of low-income families which show resiliency despite the stressors which challenge the success of gifted children: they establish a “supportive climate for development” (Friedman, 1994, p. 326) and are “organized in ways that promote predictability of functioning and reliability” (Snow et al. as cited by Friedman, 1994, p. 326). Yet Jimi had even these two strikes against him! He lived most of his childhood in transitory homes with a father who thought his interest in music was a waste of time, and his family’s few resources were hardly “supportive.” The most predictable aspect of Jimi’s family life that when somebody drank, somebody would get hit (Cross 2005). How was it, then, that against so many odds, and with no encouragement whatsoever, Jimi persisted in the development of his special talent? Evidence suggests that his imaginational OE and vision were strong enough to overcome even these odds. One surrogate mother who described Jimi as “introverted, downcast…[and] extremely sensitive” tells of an evening when young Jimi uttered an “otherworldy” statement to her whole family. She recalls how he told them all that he was going to become rich and famous, and leave the country and never come back. (Cross, 2004, p. 47). For a poverty-stricken, nearly homeless boy to make such a statement in the early fifties must have seemed incredible, and his announcement was, in fact, met with laughter. It would, however, turn out to be an eerily prophetic statement. Yet unfortunately there were many events and circumstances of struggle in Jimi’s childhood that he never was able to positively disintegrate. The authoritarian shadow of his father, for example, seemed to haunt him even after he was a famous rock star. The unresolved theme of his mother’s early death due to alcohol was one that came up again and again both in his music and in personal conversations. The fact that his father had prevented him and his brother from attending their mother’s funeral seemed to only add to the unresolved nature of the experience. The fact that no mentor appeared in Jimi’s life who understood the special developmental needs that his sensitivity and giftedness demanded is the great tragedy of his story. On stage, he was a genius in complete control and command, displaying a spontaneous virtuosity that was unparalleled. Yet in many ways “the same trait that made him such a talented musician—the ability to be lost in the moment of performance—also caused Jimi to act on his immediate desires of urges, with a recklessness at times” (Cross, 2005, p. 179). Offstage, the internal locus of control he seemed to possess in relation to his talent seemed less influential, and he was often manipulated by those around him with ulterior motives. Eventually this lack of a compass in his off-stage life led him into the dangerous waters of drugs and groupies, and these would prove to be influences that would lead to his early death. The great lesson in Jimi’s story for educators is the importance of expanding the net we cast in our search for the gifted, and searching very carefully through what we find. Using the multiple criteria approach outlined by Davis and Rimm (2004) would certainly be a big step forward by overcoming many of the limitations of using standardized tests as the sole identification method. However, Jimi’s story takes us one realization further—there may be many whom our current system of gifted education simply isn’t ready to support. Until that time, educators need to be vigilant in watching for students who display a special talent, sensitivity, or single-minded passion. These kids may not find a home in a gifted program, but they do need a special mentor. They need a guiding hand that can lead them to develop a well-rounded confidence in life, and to develop an internal locus of control to help them navigate their passion to maximum success and fulfillment. Cross, C. R. (2005). Room full of mirrors: A biography of Jimi Hendrix. New York: Hyperion. Davis, G. A. and Rimm, S. B. (2004). Education of the gifted and talented (5th ed.). Boston: Pearson Education, Inc.
Friedman, R. C. (1994). Upstream helping for low-income families of gifted students: Challenges and opportunities. Journal of Educational and Psychological Consultation, 5(4), 321-338. Parent perspectives by Nikki C.
There was a time in my life when I couldn’t imagine anything would compare to the experience of running my first marathon. At the starting line, I was confident and full of energy. I was so happy that I had made it through training and that the big day had finally arrived! My excitement did not last, though. As the miles racked up, my energy faded. Anxiety set in, and this turned into full-on fear and self-doubt. I was digging for strength I wasn’t even sure I had (there might have been some tears and praying at this point). Eventually, fierce determination kicked in, and I found my confidence. By the time I crossed that finish line, I had come full circle, back to happiness and excitement. Challenging, rewarding, and intense… and what an emotional roller coaster! I didn’t think anything could compete with those highs and lows, especially in a single morning. Then, I became a mom – a mom of a remarkable child, who, among other things, is twice-exceptional (gifted with other special needs). My life with him can involve all of the above emotions on any given day. I happen to love roller coasters, and I am not complaining in any way. I am grateful, though, that before I became a parent of a 2e child, I learned some important lessons through distance running. Many new runners walk into specialty running stores, announce that they will be starting distance training, and ask for best shoe available. These new runners soon learn that there is no such thing as the best shoe… at least not the best shoe. Due to differences such as body mechanics, foot structure, and cushion preferences, each runner needs to find his or her own best shoe. It might not be the one they hoped for – the one so many of their friends have, the brand they know, the price they expected, and so on – but with some work, they can find their best shoe. More importantly, they will come to love their shoe, even if it was not what they expected. Homeschooling led to another discovery: there is no best curriculum. Talking about curriculum with other homeschool parents is as much fun as talking about running shoes with other runners, but again, you have to find what’s best for your child. For a 2e child, a boxed curriculum is probably not going to work. Finding my child’s best fit could be compared to the searches of runners who, even after finding their best shoes, still need custom orthotics, tricky customized lacing, and very specific socks to make everything function optimally. Oh, and expect to have to buy new “shoes” more often than the recommended time frame. Even basic parenting choices require finding our “best shoe.” Most parents we know have some common rules: sitting with the family during mealtime, not jumping on the furniture, sleeping in your own bed… heck, sleeping, period. When kids don’t abide by these rules, timeouts and sticker-chart rewards are common solutions. I’ll just say that I am almost at the point (almost) where I can laugh at what a disaster those were for us. We needed different rules and different methods to handle problems. It makes my head spin to think of all the outside-the-box methods I have had to use, but it has been worth the effort. Finding our “best shoes” has taken us from 5K to ultramarathon confidence (on some days, and metaphorically speaking, of course J). When you’re a distance runner, you’ll log many solo miles, yet I found that joining a running group was also essential. My ideal group includes runners with varied abilities and experience levels. Seasoned runners, with their vast knowledge and experience, help newcomers. Faster runners help slower runners improve performance. New runners remind you how far you have come. My favorite part of a running group, though, is the camaraderie. Runners love to talk about running. They love to share stories – the good, the bad, the ugly. You learn fairly quickly that non-runners don’t necessarily want to hear all you have to say about running… and you have a lot you want to say about running! Runners can laugh and cry together about things others just don’t get. Parent groups also allow you to speak freely about topics you can’t discuss with those who aren’t “runners.” Discussing issues related to your child’s disability and its perplexing parenting dilemmas can be overwhelming for some who live outside of that world. Discussing your child’s giftedness and its challenges can be even harder. So, find groups that are full of optimistic people. Find your running buddies. They can enable you and your child to run the best race you both possibly can. I’ll admit, I was a sucker for motivational running quotes when I first started. For me, they provided inspiration comparable to listening to the theme from Rocky. This one made the most difference for me: “Running a marathon: how to single-handedly remove the word can’t from your vocabulary.” In my first “training” run, I could barely make it ten minutes before I thought my lungs would never recover. I didn’t say “can’t,” though. I got over that hurdle, then got over the next one, over and over. Soon after, I realized that I could apply this concept to many aspects of my life – and now, to parenting a 2e child. When you are raising a twice-exceptional child, hearing the word “can’t” comes with the territory. You might be trying to help your child through another public meltdown, or trying to persuade the school into testing your child for the gifted program even though he has a disability, or trying to assure your friend that you have not lost your mind when you pull your special needs child out of public school. You might be trying to encourage your child to try something new despite their fear of mistakes. You know your child better than anyone, you have more motivation than anyone, and you are making decisions based on the best interest of your child… so, guess what? You can! Removing the word “can’t” encourages perseverance, enhances endurance, and boosts confidence. These things help when you need to take the road less traveled. When your child needs you in their corner, it’s not an option to think “’I’m not strong enough” or “I can’t do this.” After removing the word “can’t,” now you think, “how do I get strong enough?” My son, along with giftedness, has an autism diagnosis and sensory processing disorder. Some days are hard. Some days being a mom to this child of mine wears me out. At these times, I ask myself, “how do I get stronger?” With your child as your inspiration and some help from your “running buddies,” you will find that strength. There is one thing runners can be really bad at… handling injuries. We ignore early warning signs, we slap a Band-Aid on a more serious issue, or we aren’t consistent with the recovery plan. Since we want to get back on the road, we are often shortsighted. Usually, running injuries that are ignored or masked do not get better on their own, and often they get much worse. After incurring several running injuries, I learned that many are preventable, and others can be remedied more easily if you figure out the source of the problem. For example, if a runner starts experiencing a slight pain in the knee area, and if all she does is wear a knee sleeve, the problem will probably get worse and could require more drastic measures. On the other hand, if at the first sign of knee pain, the runner learns about possible causes and gets to the root of the problem, the outcome can be much better. Listening to my child’s signals and finding the root of challenges have been critical for us. We have been blessed to have the assistance of several behavior therapists who reminded me that finding the root of a problem is always the best way to find a long-term solution. Instead of feeling like I’m supposed to be a disciplinarian when my child does something that seems inappropriate, I become a detective. For instance, through research, consultations, and evaluations, I learned that my son is a sensory seeker and he’s full of psychomotor overexcitabilities. Occupational therapy and a better understanding of giftedness have worked miracles for us. In a different setting, his behaviors could have been reprimanded, labeled as problematic and possibly misdiagnosed. I want to be clear that I am not discouraging needed medication: my concern is about viewing medication as a first step when the root of the problem has yet to be addressed. A 2e child who is acting out in a classroom might be doing so because he’s not being appropriately challenged academically. In this situation, investigating and working to find an academic fit appropriate for his ability could provide a constructive, long-term solution. When a 2e child is acting out, it is also possible that he is trying to exert some control in an environment that feels out of control to him. In my experience, sensory integration therapy could provide tools to cope with sensory overload that could benefit him for years to come. Sometimes all the research and possible parenting tools can get downright overwhelming. Many times, in a difficult situation with my child (especially those that happen in a crowded public area), I find myself not knowing what to say because my head is swimming with all the things I’ve learned. What’s the right thing to do at this moment? I don’t know! I feel like everyone is staring at me and waiting for me to do the right thing…and I can’t think! When fear and self-doubt rear their ugly heads when I am trying to be a good parent to my 2e child, the lessons I learned during that first marathon come back to me. I need to find my strength, and when all else fails, I do this… keep my head up and keep moving forward. From one runner to another: remember to enjoy the journey… and remember to breathe. 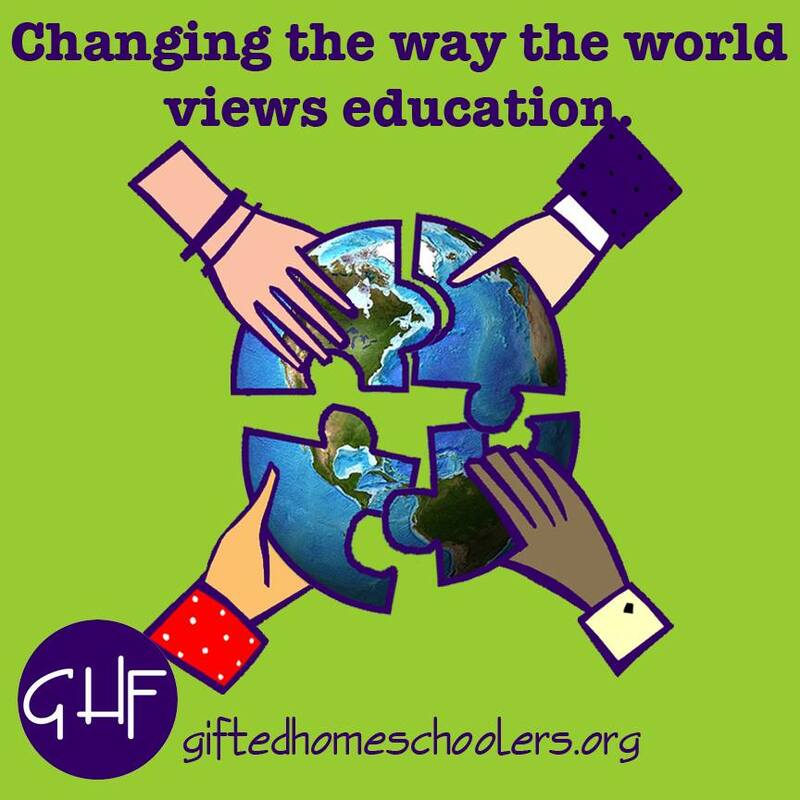 We are proud to include this post in the Gifted Homeschoolers Forum blog hop! When parents watch developmental milestones, they usually think about delays. If a baby seems to be on track, or even hits milestones early, parents breathe a sigh of relief. One less thing to worry about… right? If your child reaches milestones significantly ahead of schedule, contact your pediatrician for a referral. Some early milestones may be normal, but they may also be signs of a condition known as “giftedness,” which can cause educational and emotional challenges if not addressed. If identified early, accommodations may increase chances of optimal development, and may decrease risks of negative outcomes. How might our views of education change? Not all experts agree on how to define or measure giftedness, but a number of psychologists have studied early signs of advanced development. In Deborah Ruf’s book, 5 Levels of Gifted, characteristics are provided for each level, including some signs thought to be present shortly after birth. For example, before school entry, children in levels two and three were found to demonstrate strong memories, advanced vocabulary, and comprehension significantly ahead of typically developing children (Ruf, D. L., 2009). There is disagreement on the reliability of IQ testing in preschoolers and in diverse populations, but in general, most experts in the field seem to agree that children later identified as gifted demonstrate early signs of advanced, rapid development. Unfortunately, according to child development theories still taught when many classroom teachers received their degrees, toddlers and preschoolers were said to be incapable of grasping some of the advanced concepts now known to be demonstrated by gifted children — and few if any exceptions were noted (example: Berk, L. E., 1989). Today, for those parents who notice early differences and know what to research, no shortage of material exists. Risks from the fictional warning above are cited in numerous sources. Still, this information does not always reach mainstream books or training for the people on the front lines, often unaware of what they are missing: the majority of parents and teachers. To further complicate matters, gifted-identified children often exhibit asynchronous development: the same 6-year-old who likes division and reads 4th grade chapter books may struggle with writing. She may also wear out her parents with typical 6-year-old behavior. In school, many gifted children do not thrive when faced with lessons a year or more below their level. At best, they may fail to develop skills needed for future challenges – at worst, they can disengage and develop negative coping strategies, confusing parents and teachers. Awareness of potential ability/curriculum mismatch can better prepare parents and teachers to find solutions. In states where gifted services can vary significantly between districts or schools, early awareness can help parents make better informed school choices. Since advanced development exists in all populations, and since care must be taken to avoid missed identification in diverse populations, all teachers of young children need awareness to identify needs. In states with large classes and inadequate school funding, educators must triage. Federal requirements help protect students with identified disabilities, but students with advanced, asynchronous development receive few to no accommodations in some states. Researchers have repeatedly demonstrated that contrary to popular myth, these students will not “be fine” on their own, and without intervention, face increased risks during their teen years. The needs of children with all learning differences must be taken seriously. Just as we must provide an environment in which children with disabilities can learn, we need better access to information about preventing typical problems faced by young children with advanced development. Twice-exceptional children have both advanced development and an area of disability, and they suffer when either area is overlooked. From a parenting perspective, whether a child is exhibiting advanced development or developmental delays, identifying and supporting a child’s unique strengths is critical for self-esteem and motivation. Looking beyond IQ: how might early identification of additional abilities benefit parents and teachers of all children? Psychologist Howard Gardner’s theory of multiple intelligences includes strengths in a wide range of areas: linguistic, logical-mathematical, spatial, bodily-kinesthetic, musical, interpersonal, intrapersonal, naturalist, and existential (Karnes & Stephens, 2008). Parents may discover and develop some talents without having heard of Gardner – and most experts agree that preschool children need play more than anything else – but when children do enter school, better awareness of strengths can help educators keep students engaged. Children with advanced development are found in all populations, and public school is the only option for many families. For all children to receive a free, appropriate public education, we must embrace differences which can be identified before school entry. To avoid gaps in meeting needs, parents and teachers must know what to watch for, which strategies should be used, what might go wrong, and where to get help. Information about both strengths and needs can be used in supporting and developing the individual abilities of all students, regardless of academic aptitude. If we can better equip parents and teachers, we can better identify learning differences in all students. When we see the world through the eyes of students — including students with differences — we can better reach and inspire all children. We are proud this post is part of the Ages and Stages Blog Hop on Hoagies’ Gifted Education Page! Blog Hop graphic by Pamela S Ryan – click above for more Blog Hop posts! Author note: This discussion is not in any way intended to make light of struggles faced by parents of children with special needs, the experiences of parents investigating milestone delays, or the continuing need for improvement in services for children with disabilities. My hope is that increasing numbers of advocates for gifted education will include Special Education and learning disabilities in their efforts. Working together, I believe we can improve the education of all children with differences. Karnes, F. A. and Stephens, K. R. (2008). Achieving Excellence: Educating the Gifted and Talented. Upper Saddle River, New Jersey: Pearson. Neville, C. S., Piechowsky, M. and Tolan, S. (2013). Off the Charts: Asynchrony and the Gifted Child. Unionville: New York. Ruf, D. L. (2009). 5 Levels of Gifted. Scottsdale, AZ: Great Potential Press. Shelov, S. P. and Altmann, T. R. (2009). 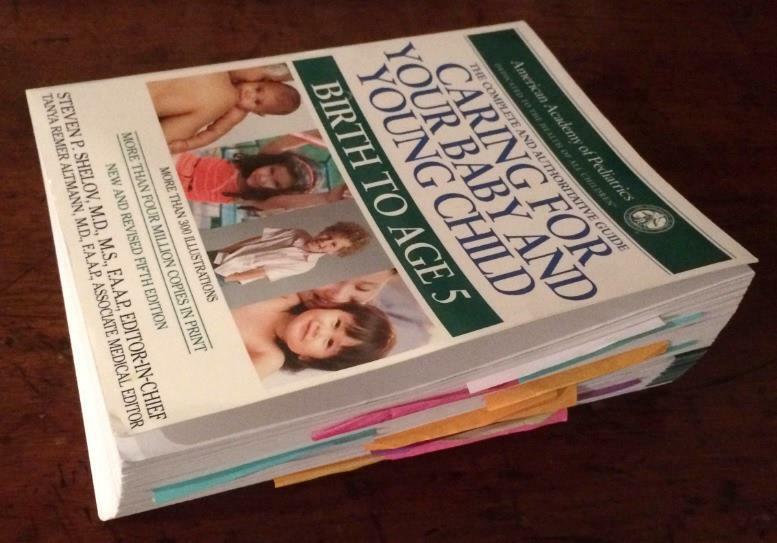 Caring For Your Baby and Young Child: Birth to Age 5, Fifth Edition. American Academy of Pediatrics: Bantam Books. Berk, L. E. (1989). Child Development, Fourth Edition. Needham Heights, MA: Allyn and Bacon. Help for both parents and teachers — free parent resources also below! The situation: It’s the first month of school. You’re a teacher, and your class includes a few gifted-identified children. You’ve worked hard to plan and differentiate your lessons. All of your students seem engaged, except… one of your gifted students. He’s not doing his work, and you don’t know why. Another of your gifted students won’t attempt challenges – it’s like she’s hiding her ability. One more gifted student shows incredible insight during discussions, but he seems to struggle with reading and writing. (You’re surprised that he qualified for gifted program services.) At least one of your gifted students is wonderful – she gets straight As, and it seems like she doesn’t need anything from you! Can all of these children be gifted? How do you cope with their mysterious differences? Thankfully, in 1988, two leaders in gifted education provided some answers for both teachers and parents. In their “Profiles of the Gifted and Talented,” George Betts and Maureen Neihart identify six profiles of student behaviors, helping adults to better understand student feelings and needs. A child may fit more than one profile at once, and can change profiles over time, depending on internal and external factors. No profile is limited by gender or family background, though some characteristics can occur more frequently in certain populations. Let’s examine the profiles and help some students! This student does well in school! She rarely gets in trouble. She may be a perfectionist, and she is “eager for approval from teachers, parents and other adults.” She is sometimes perceived as not needing anything special. If she is not challenged, however, she may learn to put forth minimal effort – and may not learn the skills and attitudes needed for future creativity and autonomy. Recommendations for Successful-type students include opportunities for challenge, risk-taking, mentorships, and independent learning, as well as time with intellectual peers. Creative students need tolerant adults, support for creativity and strengths, placement with appropriate teachers, in-depth studies, and opportunities to build self-esteem. In 2010, Betts and Neihart renamed the “Challenging” profile to “Creative,” reflecting these students’ potential. Note: Though the curriculum is designed to challenge the majority of students, typical differentiation may not reach levels needed by some gifted students, holding them back in subjects or entire grades. An “Underground” student may start as Successful, but she later conceals or denies her abilities. Looking for social acceptance, she may drop out of her gifted program, resist challenges, struggle with insecurity, and allow her grades to decline. She may be a middle-school aged girl, may belong to a population facing added obstacles, or could be any student facing pressure not to achieve in school. Recommendations for this type require balancing. Underground students “should not be permitted to abandon all projects or advanced classes,” but may benefit from permission to take a break from G/T classes. These students need to be “accepted as they are.” Adults can provide alternate ways to meet academic needs, the freedom to make choices, and help with college/career planning. An “At Risk” student may feel angry, resentful, depressed, and/or explosive. He may have a poor self-concept, act out, and have poor attendance, yet he may have interests and strengths outside of school. He may feel “angry with adults and with [himself] because the system has not met [his] needs for many years.” School may feel irrelevant and hostile to him, and he may feel rejected. Prevention of the “At Risk” profile is one goal of meeting the needs of other profiles, especially the Creative profile. The Twice-Exceptional (“2e”) student is gifted, but she also has other special needs. She may have a learning disability, autism, a processing disorder, ADHD, or another area of disability. She can feel powerless and frustrated, and may have inconsistent, average, or below-average school work. She often feels confused or upset about her struggles, and others may see only her disabilities, not her strengths. To avoid low self-esteem and achieve their potential, these students need emphasis on and challenge in their areas of strength. They also need advocacy from parents and teachers, risk-taking opportunities, and support for their disabilities. To meet gifted needs, they may further benefit from G/T support groups, opportunities for exploration and investigation, and alternate learning experiences. An Autonomous learner exhibits some Successful characteristics, but instead of performing only the work required, he creates opportunities for himself. Self-directed, independent, and generally confident, this student is able to take appropriate academic risks. He may assume leadership roles, but can also suffer from isolation. Autonomous learner recommendations include opportunities related to the child’s passions, development of a long-term plan of study, friends of all ages, mentorships, and when possible, removal of time and space restrictions for their studies. Avoiding harmful comparisons: if parents and educators view giftedness through a single lens, and if they expect all students to behave in a certain way, they may fail to recognize the abilities and needs of students at risk for negative outcomes. Other factors can alter student behavior, as well: gifted children can struggle with asynchronous development, overexcitabilities, higher levels of giftedness, and obstacles faced by special populations. Despite all these differences, gifted students do have needs in common: they need opportunities to pursue interests, challenging work, positive relationships, and understanding from adults. When we can decode their behavior, we gain respect for students’ feelings and perspectives. As parents and educators, we can also improve the chances that gifted students will stay in school, continue to love learning, and achieve their potential – our goals for all children. Have you found the Six Profiles helpful in your teaching or parenting? Do you have success with other strategies? We would love to hear from you! The updated 2010 matrix of Profiles and recommendations is available online. We are proud this post is part of the Gifted 101 blog hop on Hoagies’ Gifted Education Page! When your kids worry about the meaning of life, what do you do? We all ask ourselves existential questions at some point. When those questions come from my kids, sometimes I’m prepared. Sometimes I’m not. I try to give reassurance. We talk about science and faith. Unfortunately, sometimes, religion and science aren’t enough. Sometimes, the unknowns can cause sadness: real, palpable, sleepless worry. A hug and kiss don’t always make things better. Some questions don’t have answers. Thinking back on these conversations, I can see the faces of my sons, vulnerable, waiting. Their eyes are windows. At some point, between now and the end of adolescence, I know those windows will develop protective shutters – at least temporarily. Right now, their private thoughts still come out at bedtime, and those windows are wide open. As a parent, how do you reassure your child, while he or she still looks to you for answers? Can we help our kids build resilience? A new book offers support, and it’s become one of my favorites: Searching for Meaning: Idealism, Bright Minds, Disillusionment, and Hope, by James Webb. Dr. Webb is a psychologist and expert on gifted children, and co-founded the nonprofit SENG (Supporting the Emotional Needs of the Gifted) following the suicide of a gifted youth. Psychologists find that bright youths ask difficult questions early in their lives, and often struggle with perfectionism and disillusionment. Searching for Meaning isn’t specifically for parents, but it gives reassurance to anyone who can identify with these worries. The book begins with the roots of idealism – both nature and nurture – and discusses challenges faced by idealists, internal and external. Webb provides an overview of gifted characteristics, since those individuals are often at higher risk, and he then delves into difficulties faced by idealists. Depression is discussed in a frank, compassionate manner. Throughout the book, Webb provides statistics and definitions in addition to the feelings of experiencing these challenges. Webb also explores existential concerns through multiple lenses. Existential theories, religious beliefs, and psychological theories are covered, and references are given for research, allowing curious readers to explore further. In particular, the Theory of Positive Disintegration, by Polish psychologist Kazimierz Dabrowski, gives readers encouragement: according to Dabrowski, grappling with disillusionment is the first step toward heightened development, though questions may continue throughout the life span. The overall text seems best suited for adults and older adolescents, but in my family, I found the chapter on “Healthier Coping Styles” perfect for reading with my older son. In an attempt to answer one of my 9-year-old’s questions, I pulled down this book. It became a nightly ritual. Webb uses the acronym HALT (hungry, angry, lonely, tired) to describe triggers for negativity and stress, and it’s been helpful in our house. We’ve increased “hug time” (feeling connected), we make conscious efforts to think positively and plan for the future, and we talk about how it’s okay to think and feel the way we do. We’ve read and re-read passages, and we discuss how we can use them in our lives. For my part, I realized that one of Webb’s coping strategies is how I best handle stress: I work with causes to find solutions. In this, I see myself in my sons: at ages 4 and 9, in their own ways, I see them driven to right wrongs, to speak up for truth, and to help those who suffer. Earlier this year, our church devoted several weeks to a similar theme, titled “Follow Your Heartbreak.” Our pastor explained that to find your passion, you can think about what breaks your heart about the world. This seems to be how our family was meant to live our lives. Webb’s book gives idealists both encouragement and motivation, and I believe it can help us lead happier lives. I can’t protect my sons against all doubt and pain, but I’m glad for a resource in letting them know that it’s okay to question. I want to show them that there is nothing wrong in asking for help, when they suffer. That they can find peace, especially in pursuing their drive to never, ever stop trying to make the world better. That as long as I’m alive, I will be here for them, doing the same. Just like my children, I’ll be searching for meaning, and for hope. Real, inspired writing on education and the evolution of learning in the 21st century. The Fissure is a laboratory where education meets creativity, health, spirituality, and culture. Be informed, instructed, inspired and entertained. Weekly posts on research trends and hot topics in education, intelligence, passion-driven learning, classroom how-to, movies, books, personal essays, technology, parent perspectives, literary musings and satire. GT in PTAs? Include all special needs! Letters to Those Silently Suffering: Let’s Talk About It – Bringing Light to What Stigma Forces Us to Keep in the Dark.